This is a basic, but essential, conundrum. I often seem people using the wrong shutter speed, and then being disappointed with their 'blurry' images, or not being blurred enough! So, I made this chart... :) it is not law, but more a good rule-of-thumb that will give you a good starting point for your images... every situation will need tweeking, and that will get easier as you play around with shutter speed more. :) I hope this helps. This mage was created by stacking several 30 second exposures to generate long trails. 30 second exposure on a tripod... Any longer and the stars would start to blur, any less and I would have to increase the ISO even more (already 6400). I was int he front of a train between airport terminals... I wanted to capture the motion so used a shutter speed of 1/2 seconds... it was long enough to get great blur, but fast enough for me to brace the camera against the glass and get a sharp image on the tracks! 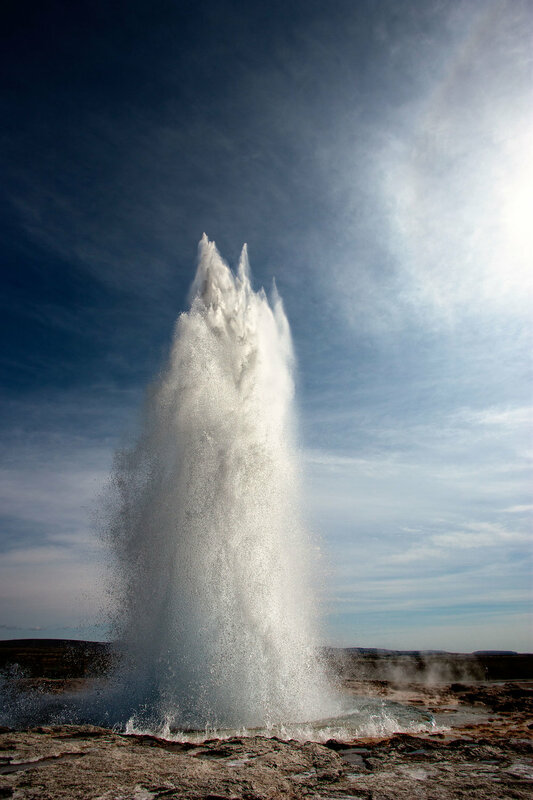 I used a shutter speed of 1/1000 in order to freeze the action in the geyser. I wanted to get a sharp image of the man but get some motion blur in the spinning wheel... Normally i would use 1/200 for the situation, but I had to reduce it to 1/25 in order to get the balance right. In order to get a nice sharp image, i had to use a high shutter speed 1/3200. Since the kingfisher was satin the shade very still, i could use a low shutter speed of 1/200 and reduce my ISO in order to get better image quality (iso 800).